Create a dining room that feels naturally warm and relaxed with this sideboard. The dining storage piece is crafted from 100% solid segnon wood that's characterized by natural knots, blemishes, and differing wood grains for a piece that's unique. Keep dining and hosting essentials organized and out of sight behind the sideboard's three doors to deliver an effortlessly sophisticated dining atmosphere and impeccable dining room. 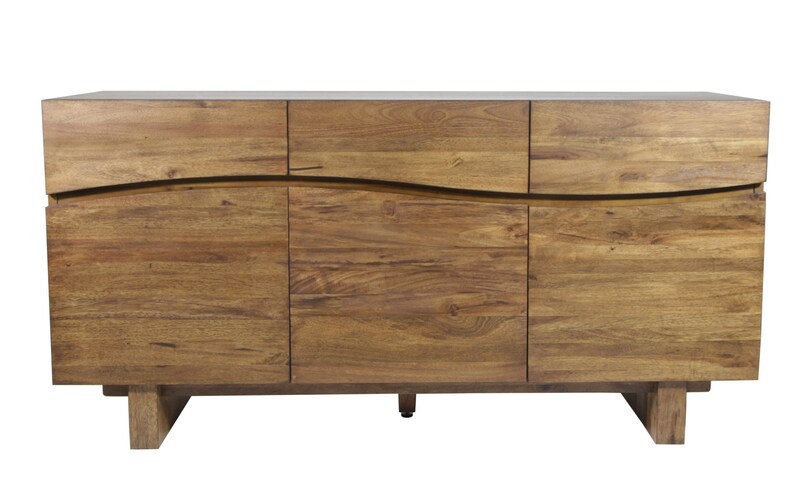 The Ocean Sideboard by Modus International at HomeWorld Furniture in the Hawaii, Oahu, Hilo, Kona, Maui area. Product availability may vary. Contact us for the most current availability on this product.